As a lover of seafood, I can’t recommend Whitstable enough. Less than two hours away from London, it’s a fabulous place to escape to without having to plan your visit too far ahead. 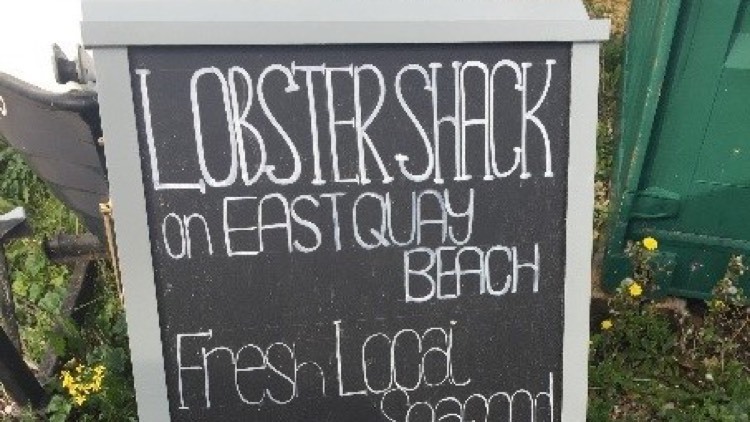 We recently stumbled across the most amazing restaurant called the Lobster Shack who have a small menu, packed with shellfish and market fish. The smell of hot grilled shellfish and the bellowing steam from boiling lobsters adds to the ‘spit and sawdust’ atmosphere which makes the Lobster Shack so endearing. We ordered the ‘whole’ platter between the two of us – this was a mistake as the half would have been more than enough but somehow we managed to power through to finish it off. After lunch we walked along the sea-front and the foodie delights continued. It was packed with fresh fish markets, old fashioned ice-cream parlours and small huts selling freshly chucked oysters. The huge piles of oyster shells all along the front are a give away as to how important the humble oyster is to Whitstable and the Oyster Festival which takes place during the last week of July, will certainly feature on our weekend plans for 2016.